Have Android on your HTC One been starting to missbehave and act up? Maybe it constantly needs to restart, or pauses itself in the middle of something important, or any other problem that can be caused by a overload of information on the device. Or maybe you just forgot the lock pattern on your HTC One and are now unable to use it anymore. In any of these situations you’ll need to perform a hard reset on your device. Please bear in mind that a hard reset on your device will eliminate all the information you have added to it, like installed apps, contacts, etc. It would be wise to do a backup of all your information before starting the steps for performing a hard reset on your HTC One. To do a backup you can use any of the many applications available in Google Play. 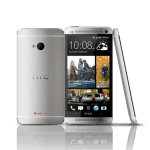 We will show you two methods of how to perform a factory reset of the HTC One. They are equally useful, the only difference being that one of them is to be performed when you have access to the phone, and the other method is used when we can not access the main menu phone, meaning that we will have to reset the phone using the hardware, not the software. Go to Settings> Backup and Restore> Delete all data> OK. This process will erase all data on the phone. Wait until the Android symbol appears on the screen and release de buttons. Scroll down to the the “Factory data reset” using the less volume button and press the power button to confirm. With these two ways we can perform and successfully achieve a hard reset on the HTC One, as usual if you have any doubts, please leave us a comment and we will be glad to help.